Van, I had no idea about this habit of yours. I love pens, too, just can't afford them. My husband would say I'm a stationery addict, though. And our blogs have the same template. Funny. I just found this via what you wrote on Facebook. How funny the Internet is. You can find fountain pens to fit any budget. See my write-up below on the "Pilot Petite". Trust me - I can't afford the $100 pens right now either. 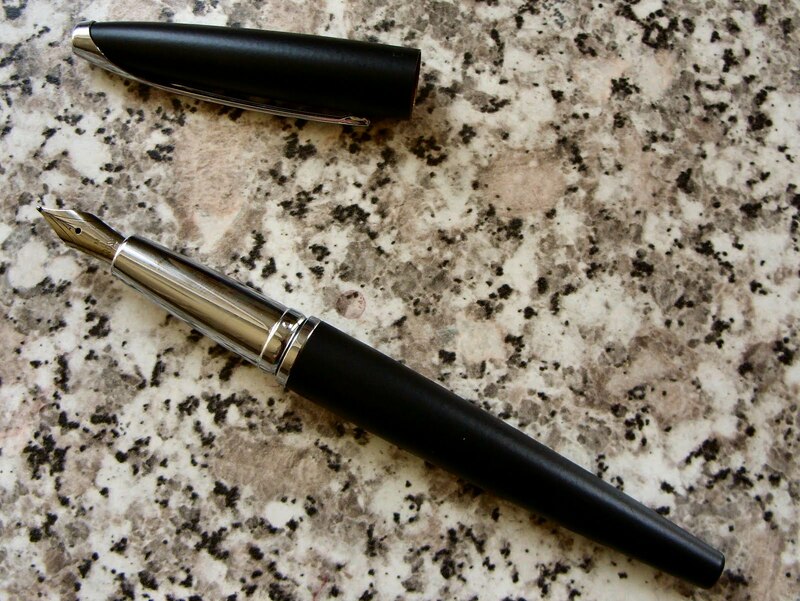 There are even a few $5.00 (shipping included) ft pens that you can order on EBay from China. I am not so knowledgeable about stationary but the quality of paper and ink makes a huge difference when you are using a ft pen - they aren't as forgiving as ball pt and roller ball. Funny about the stationary comment: I just wrote to a printer last night - I'm thinking about designing some stationary to sell. I can't ever find stationary that I really like. So, figure some others feel the same . . . well maybe just men. There's plenty of feminine looking stationary, but men seem to be stuck with plain white or ivory paper. Of course, men probably don't write as much either. Thanks for the comment! Oh yes - that Falcon has been on my wish list for a while now. 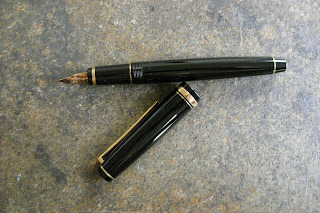 I've never actually written with one, but I only once heard anything bad about it; at a pen show someone was sort of talking down about its flexibility. I guess it's not a true flex nib so that's fine. Keep it on your wish list: I don't have very many gold-nib pens but of those I have, the Falcon is the most flexible by far.